Twitter and Vodafone have just announced their partnership to bring SMS tweets and alerts to your mobile phone. Exclusively for Vodafone UK customers, the two giants have signed an agreement allowing customers to send and receive SMS updates at no additional cost. Sending tweets from your mobile will be part of your normal text messaging bundle with Vodafone (no extra fees). And as an introductory offer for the first few weeks, sending tweets won’t even affect your bundle. Receiving tweets via SMS on your mobile is totally free. 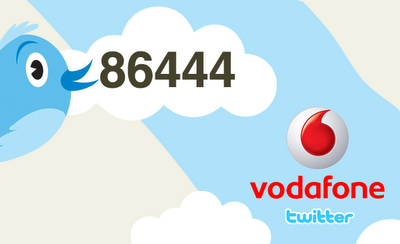 Code for UK Vodafone customers is 86444 and you can activate your mobile in your Twitter settings.